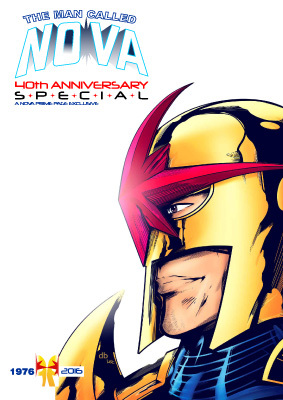 The Man Called Nova 40th Anniversary Special is a magazine created to celebrate four decades of Richard Rider as Marvel's ultimate hero - NOVA!! Inside you'll find beautiful artwork and stories by Nova fans from around the world coordinated by the creator of the Nova619 series - Darren Blackburn! The magazine is available free of charge as a downloadable .pdf file courtesy of the Nova Prime Page.